Knowband Prestashop auto switch language and currency module automatically set the Language and Currency according to customer's country whenever he/she visits the website. The store admin can easily change the language and currency of the store. With this Prestashop auto switch language module you can automatically change the store language and/or the currency according to the location of the customer. The Prestashop auto switch currency module automatically determines visitors' geolocation and sets their local language and currency. You can configure a default language and currency if your customer's local language and currency are not installed in your store. Specific language and currency for a particular country can be defined. When a customer visits from any of the configured countries, the system will automatically switch the website to the pre-defined language and currency. You can add as many rules as you wish. ✪We are a PrestaShop Superhero Certified Support Team. All our developers are extremely talented and experienced PrestaShop platform. ✔We can customize the module or make any modifications that you may need. Contact us for a quote. Admin can configure one common language for all countries. Admin can configure one common currency for all countries according to the customer's geolocation. Provides a better Interface to the customers. One time effort to add languages and currencies. 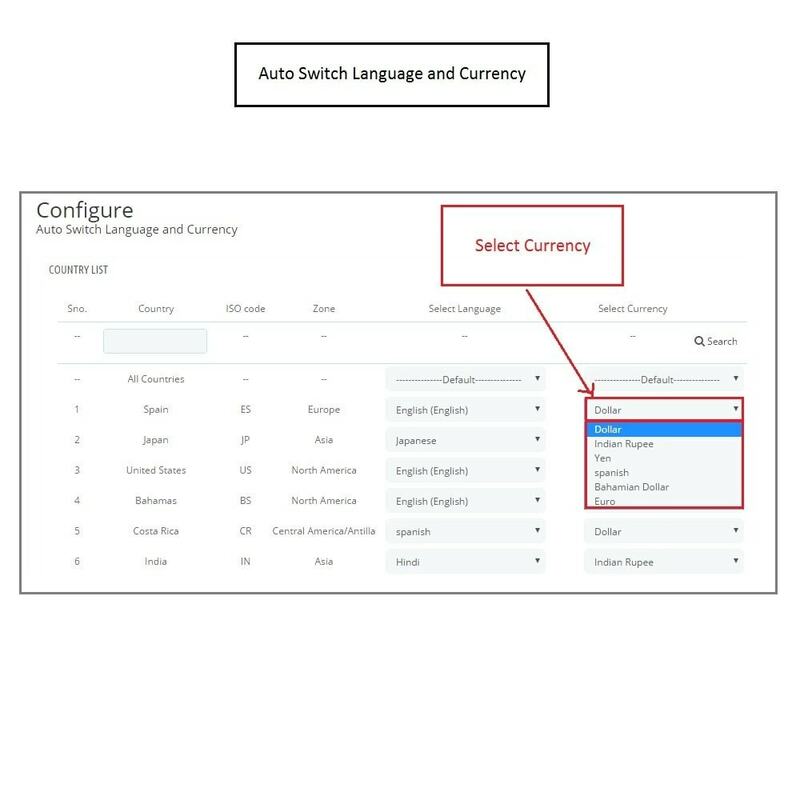 It’s very easy to change the default language of the store with the help of this Auto change language and currency module. Use IP address to track country or region of the user. Automatically converts Language and Currency. 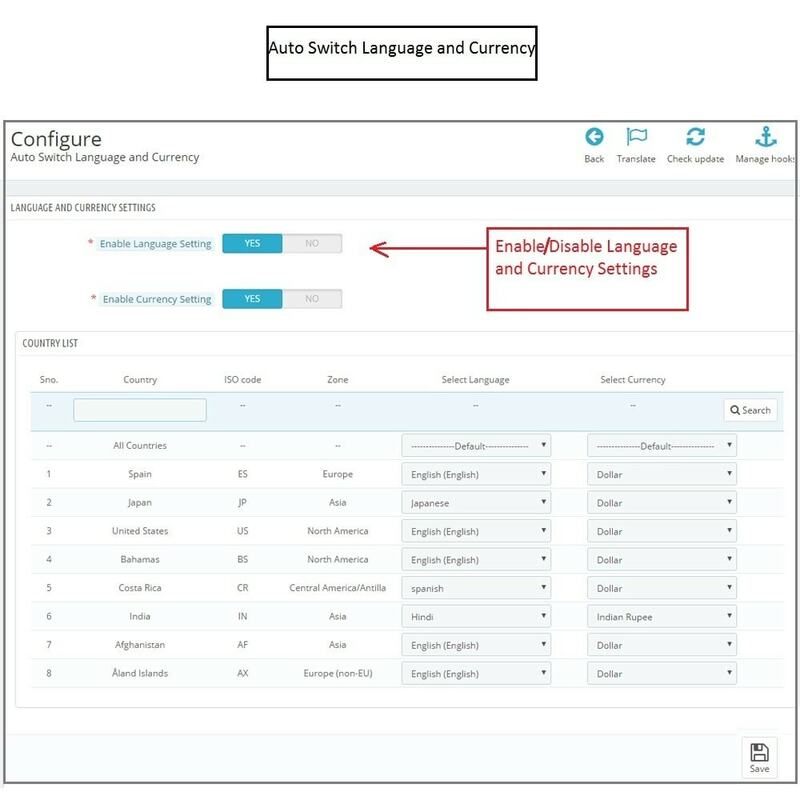 This auto change currency module allows admin to configure Languages for different countries. Allows admin to configure currencies for different countries. The auto change currency offers SSL Compatibility. The Prestashop auto switch currency module is multi-store compatible. The auto change language addon is compatible with all themes. 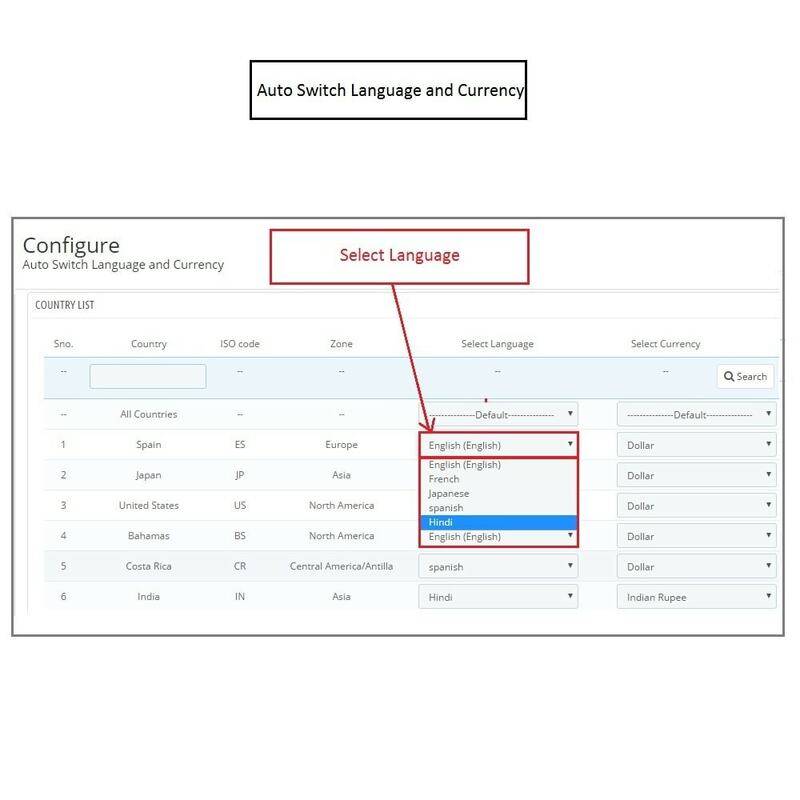 The auto change language and currency are multi-language compatible. The Prestashop Infinite Scroll addon replaces your old and slow pagination based product listing pages with a powerful and user-friendly infinite scrolling feature. You can show all your products from a particular category on a single page. 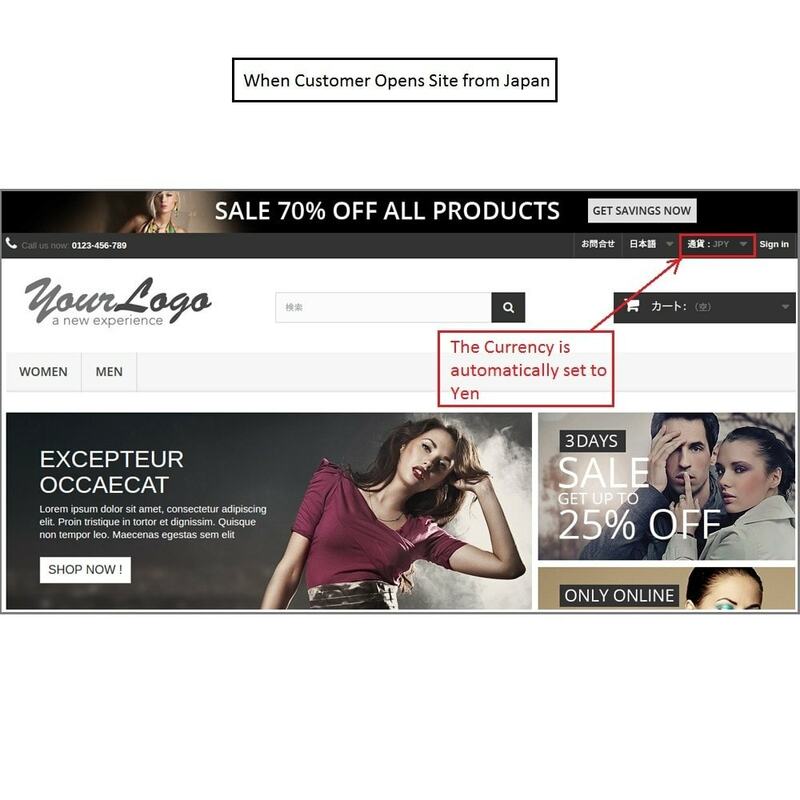 Converts the default language of the store to users country language automatically as per the user’s geolocation. 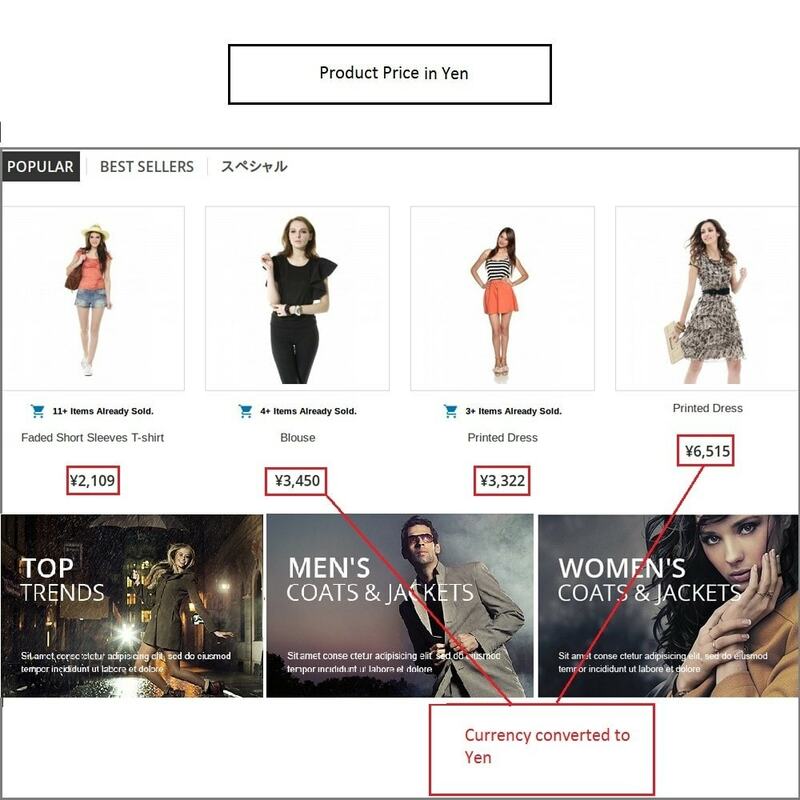 Converts the default currency of the store to users country currency automatically according to their geolocation. The user can set the language to default or to any other language. The user can set the currency to default or to any other currency.